Whatever you envision for your outdoor space, we can build it. We create unique customized decks to fit your individual needs and style. Home is where your story begins and memories are created. We would love the opportunity to help you create a special place that will provide you with years of enjoyment and many wonderful memories. We look forward to working with you. 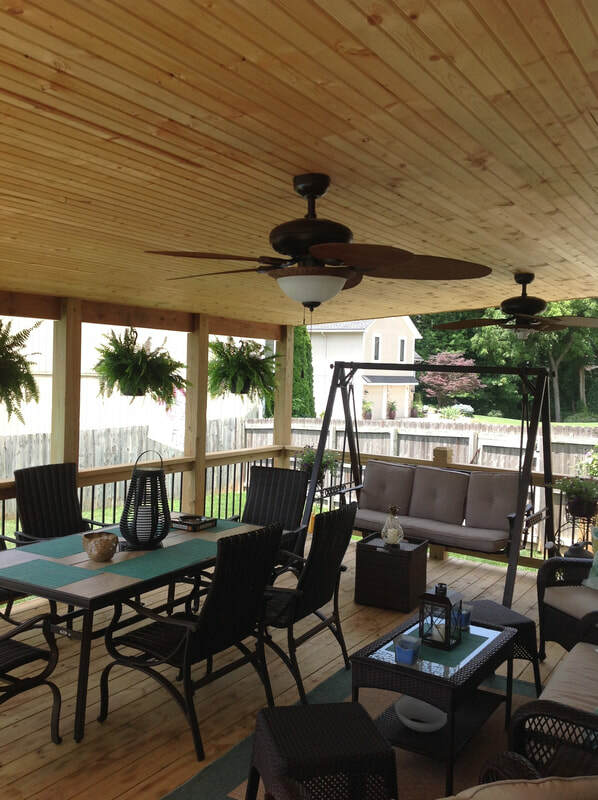 Our full line of services include: Attached Decks, Multi-level Decks, Staircases, Stand Alone Decks, Pool and Hot Tub Surrounds, Screened and All Season Rooms, Pergolas, Arbors, Gazebos, Porches, Fences, Gates, Benches, Planters, and Sheds. We are full licensed and insured. Give us call or contact us to get started with a free estimate. Keep your deck looking new with our staining and sealing service. ​If your deck is in need of revitalization, our staining and sealing service will return it to its original beauty. ​We offer an annual deck maintenance check-up that includes power washing. Contact us to schedule a maintenance or if you would like more information about this service.